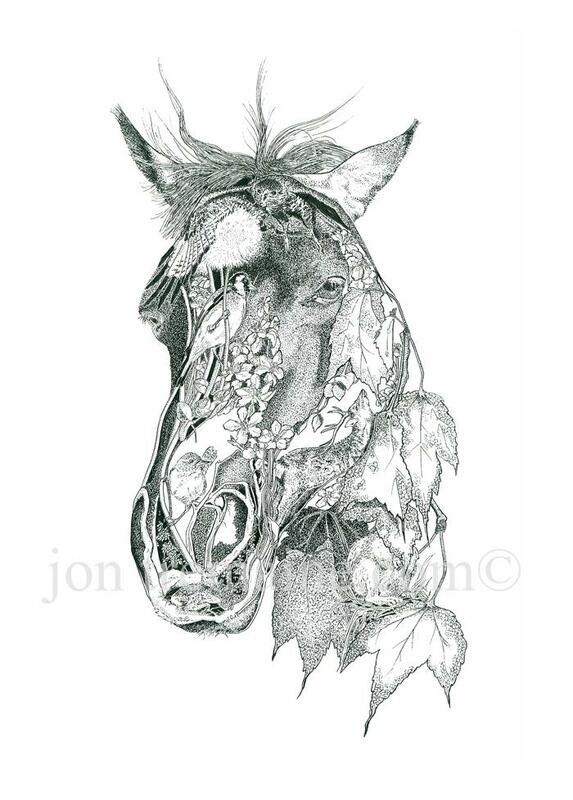 The horse was a challenge to draw, it was difficult to maintain the structure of it’s face whilst including so many animals within. I particularly like the resting rabbit and the stance of the red deer. Red deer stag and fawn, buzzard, goldfinch, wren, rabbit. Plants: dandelion, maple leaves, apple blossoms and abstract foliage.